Duty drawback means receiving a refund for your paid Customs duties on imported products that have been exported back out of the United States, or after exporting a product that has been manufactured with those products. Importers can receive up to 99% of their previously paid duties. A shipper can retroactively claim duty drawback back five years. Scarbrough’s Consulting Team is well versed in Duty Drawback and prides itself on being known for putting more money in its clients’ pockets. 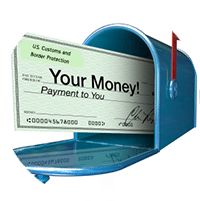 Scarbrough’s ACE and Duty Drawback experts make for a seamless process when it comes to obtaining a refund check from CBP. What type of importer/exporter should consider Duty Drawback? When is duty drawback most beneficial? When the duty refund from Duty Drawback is high enough to cover the costs of administrating a duty drawback program. What should an importer be cautious of when pursuing Duty Drawback? There are certain administrative costs to get set up with a continuous duty drawback program. An importer will want to significantly outweigh those costs. If an importer plans on exporting an imported item, it helps to analyze the Duty Drawback program prior to pursing. Moreover, unused merchandise requires a notice of intent signed by CBP before the goods are exported. A company that wants to export their imported goods must ensure they’ve taken these steps. Scarbrough can do this for you. What else should I know about Duty Drawback? If you’ve been exporting imported product and not claiming drawback, there is a one time provision that allows an importer to retroactively claim back up to 3 years of duty. How can Scarbrough help me? Scarbrough’s Trade Compliance Consulting Division is known for its experts in U.S. Customs Compliance and has close relationships with related parties and international trade law partners in place to assist you in need. Scarbrough has assisted in numerous organizations to develop continuous Duty Drawback programs and consulted whether or not an organization should pursue. Please don’t hesitate to contact us today.